Available to Level 5 - Quick quest. 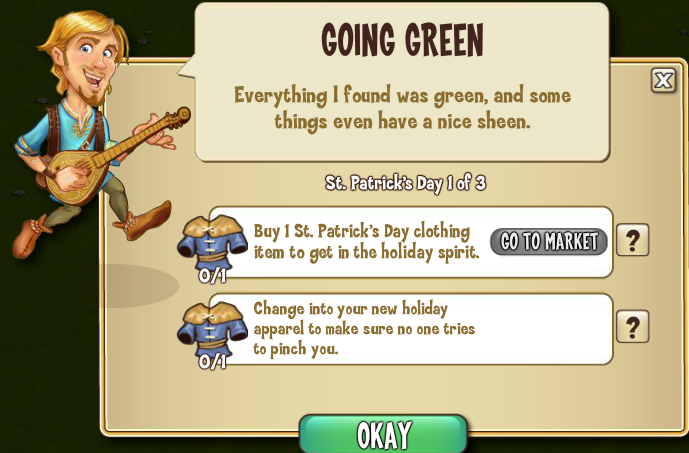 Quinn returns from the Emerald Isle feeling green. St Patrick Day is here and Quinn couldn't miss it!